Some notes on a marathon game that was played in Finland last Friday . 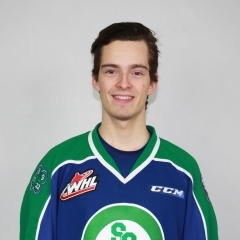 . .
At Regina, G Jordan Papirny stopped 53 shots, including 18 in the first period, to lead the Swift Current Broncos to a 2-1 OT victory over the Pats. . . . F Ryley Lindgren won it at 15:12 of the first OT period.